This book coins the term "Networked Public" to describe the active social actors in new media ecology. The author argues that, in today's network society, Networked Public Communication is different than, yet has similarities with, mass communication and interpersonal communication. As such it is the emergent paradigm for research. 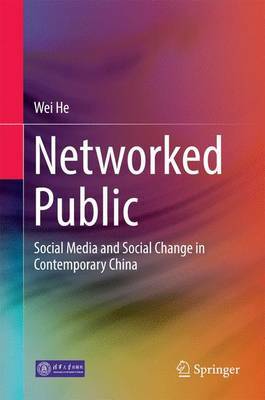 The book reviews the historical, technological and social context for the rising of Networked Public, analyzes its constituents and characteristics, and discusses the categories and features of social media in China. By analyzing abundant cases from recent years, the book provides answers to the key questions at micro, meso and macro-levels, including how information flows under regulation in the process of Networked Public Communication; what its features and models are; what collective action strategies and"resistance culture"have been developed as a result of Internet regulate; the nature of power games among Networked Public, mass media, political forces and capital, and the links with the development of Chinese civil society.